Jan Willem Duyvendak studied sociology and philosophy at the University of Groningen and in Paris. His research interests include new social movements, the changing welfare state, and such themes as belonging and nativism. He has published numerous articles and books, including The Politics of Home. Belonging and Nostalgia in Western Europe and the United States (2011), Crafting Citizenship. Negotiating Tensions in Modern Society (2012, co-authored with Menno Hurenkamp and Evelien Tonkens), and The Culturalization of Citizenship. Belonging and Polarization in a Globalizing World (2016, edited with Peter Geschiere and Evelien Tonkens). 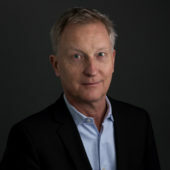 Duyvendak was the director of the Verwey-Jonker Institute for Social Issues and Professor of Community Development at Erasmus University Rotterdam. He has been Distinguished Research Professor of Sociology at the University of Amsterdam since 2014. In 2013-2014, Duyvendak was Distinguished Fellow at the Advanced Research Collaborative at the Graduate Center of the City University of New York. In Spring 2016 he was Research Fellow at the Paris Institute for Advanced Studies. Since July 2017 he is Executive Committee Chair at Council for European Studies. The appointment advisory committee praised Duyvendak’s academic leadership, citing his ability to build bridges between disciplines and to formulate challenging interdisciplinary themes. Given his sense of engagement, he will undoubtedly give knowledge valorisation an appropriate place within that context. The appointment advisory committee also commended Duyvendak as a respected scholar with a large national and international network and a proven track record in leadership and management. This makes him the right person to take NIAS forward as an institute of advanced study. Under his leadership, NIAS will continue to boost its position in the Netherlands and worldwide and offer fellows a welcoming and inspiring environment that fosters reflection, exchange and debate.